Bulathsinhala, Ingiriya, and Palindanuwara DS Divisions, Kalutara District, Western Province. Neluwa, Thawalama and Nagoda DS Divisions, Galle District, Southern Province. 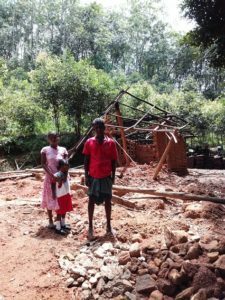 In May 2017, heavy rains in Sri Lanka resulted in floods and landslides affecting over 630,000 people. As of 31 May, the floods and landslides resulted in 203 deaths,while 96 persons remain missing.The adverse weather conditions had fully damaged 3,000 houses and partially damaged 70,000 houses (Source: Detailed Situation Report, Disaster Management Centre of Sri Lanka, 31 May 2017). While 15 districts were affected by the floods, the districts of Kalutara, Galle, Matara and Ratnapura in the South Western quadrant of the island were the most severely affected due to floods and landslides. Approx. 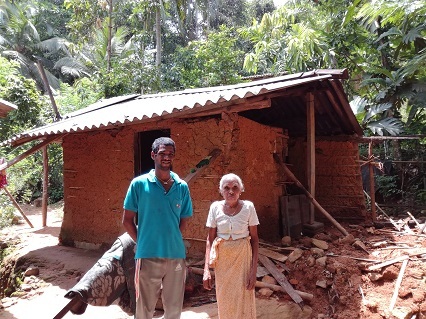 267,960 people (69,000 families) have been affected by floods and landslides in Kalutara and Galle Districts which amounted to 42 percent of the total affected caseload.In these two districts, 1,047 houses were fully damaged and 33,278 houses were partially damaged. 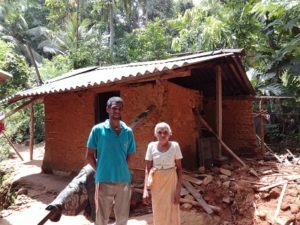 As a priority intervention, UN-Habitat plans to address emergency shelter needs of families whose houses were fully or partially destroyed by floods and landslides in Kalutara and Galle Districts. Assistance will be provided in the form of grants for shelter repairs and construction of transitional shelters in safe locations for landslide affected households or in their own properties for returnee flood affected households. In addition, 10 percent of the NFI needs of the total affected population in the Districts will also be addressed. UN-Habitat will also continue supporting and monitoring households that are residing in safe locations due to landslide risk. This will be through maintenance and repairs to permanent structures and facilitation of services through the relevant government and non-governmental agencies. UN-Habitat will ensure community consultation in the prioritisation, design and implementation of all interventions so that interventions are context specific, relevant and feasible. The most poor and vulnerable households will be prioritised for assistance, including female-headed households, households with infants under one year of age, pregnant women and households with elderly and disabled people. CERF funds will be utilised to address life-saving shelter and NFI assistance to poor and vulnerable flood and landslide affected communities in Bulathsinhala, Ingiriya, and Palidanuwara DS Divisions of Kalutara District, and Neluwa, Thawalama and Nagoda DS Divisions in Galle District, which are among the most severely affected areas. The project will provide durable life-saving transitional shelter assistance to 89 extremely vulnerable households whose houses have been fully damaged, which include female headed households, households with infants less than one year, pregnant women, elderly and disabled persons, who need extra care and protection, which cannot be provided in communal living spaces or by host families. Shelter repair grants will be provided to 669 poor and vulnerable flood affected returnee households whose homes have been partially damaged, to implement context specific basic emergency repairs, which will make their damaged houses habitable. The project will address life-saving shelter and NFI assistance to 25,000 poor and vulnerable flood and landslide affected people in Kalutara and Galle Districts amounting to nine percent of the total affected population in the Districts. UN-Habitat will ensure accountability to the affected people in project design by formulating the project based on beneficiary needs obtained from assessments conducted with beneficiary participation, and discussions with government officials of the area. Affected communities will be involved in project planning including selection of beneficiaries, CBOs for implementation, design of transitional shelters, type pf repairs to be carried out and determining the type and quantity of NFIs to be distributed. 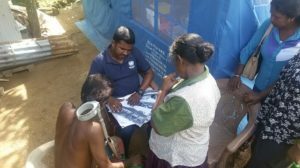 This approach is in line with UN-Habitat’s people-centred approach, which has proven to be effective in post disaster reconstruction including emergency and early recovery interventions in the shelter sector in Sri Lanka and Cambodia in the recent years. UN-Habitat will transfer cash grants to identified CBO bank accounts on finalization of community contracts. The CBOs will then disburse cash grants to beneficiaries through cheques or to bank accounts, where feasible. These households will then engage in construction activities. CBOs may also engage in construction and repair activities with the participation of communities, especially when vulnerable households do not have the capacity to engage in these activities. CBOs registered with the Government of Sri Lanka who have adequate capacity, government audit reports and experience will be selected for administering cash grants. 89 extremely vulnerable, homeless flood affected and landslide affected families including female headed households, households with infants under one year, pregnant women, elderly and disabled people are provided with durable transitional shelter assistance. 6,000 poor and vulnerable flood and landslide affected households are provided with life-saving NFI support. Supporting the upgrading of facilities in four safe locations/welfare camps. Provide basic non-food items for affected populations. Provide life-saving basic shelter repairs. Construction of durable transitional shelters for those rendered homeless by the flooding.